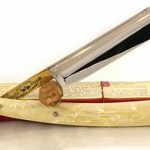 The Dove Shavette is a straight razor. It is imported from Dove, Solingen, Germany. It is a sleek looking blade for the small price of $33.99. 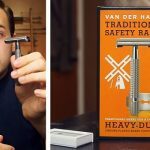 It is very lightweight unlike some other straight razors on the market so it will be easy for you to shave in hard to reach places. A plastic sleeve for the blades is included so you can carry it along with you when you travel without worrying about losing the blades. Shaves closer than regular razors. Small enough to take it with you while you travel. It is lightweight making it easier for you to maneuver. 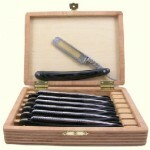 Gives you the same shave as older straight razors for a better price. 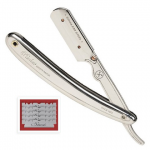 Made of stainless steel unlike some other straight razors that are made of low-grade metal. 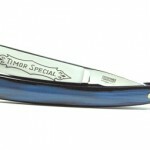 This straight razor is smaller than most of them on the market making it comfortable to hold and easy to maneuver. This razor will take short or long blades unlike some of the other shavettes that give you a limited choice when it comes to the blades. You can look at the lightweight aspect as a positive or negative of the product. Since it is lightweight, you can feel when the razor travels over places where you still have a little stubble. This will ensure a cleaner shave. There’s a plastic piece that covers the corner of the blade. 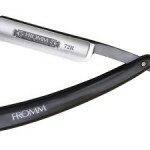 This will prevent you from cutting yourself as much as you do with other straight razors. The part where you place the blade is easy and quick to clean even though it is small. Some people look at the lightweight aspect as a con because it makes the razor feel flimsy. It does not feel as stable as more expensive brands. The Sanguine XD20 Shavette seems more stable but is heavier than the Dovo Shavette. If you have big hands, the size of the razor could be a problem to you. The Parker SR1 Shavette is larger than the Dovo, so it does not feel as flimsy. The blade does not hang out as much as you might want it to. The Weck Sextoblade is bigger, but the price is higher than the Dovo. It is a little difficult to place the blade in the razor. It is much easier to put the blade in a Sanguine Shavette. This company was founded in 1906. The company is known as DOVO Solingen, DOVO Steelware, and DOVO. It is an independent company based in Solingen Germany. The manufacture manicure tools, scissors, as well as shaving equipment. The name comes from the founders Carl Dorp and Carl Arthur Voos. Dovo also owns other companies such as Tennis, Bismarck, Ankerflagge, Teufelskerle, Kronpunkt, Fontana, Heups & Hermes Company, and Merkur Company. In December of 2001 they hired eighty-six employees. These workers manufactured one hundred shavers, twelve hundred scissors, and nine hundred nippers. Only twenty-five percent of the products were sold in Germany. The other products were sent to other countries to be sold. 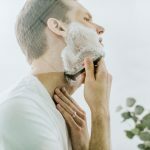 DOVO began focusing more on their shaving products in 2013. Since then they have introduced new straight razors. DOVO has set high standards through the generations that the company has been handed down. Each is made with precision by skilled craftsmen. The company has a demand for their products worldwide. They offer a sharpening and repair service for their products. You can contact their customer service by phone or email. Many customers have stated that they have enjoyed the response time and professionalism of the DOVO customer service team. There are many people that are allergic to nickel. Scissors are also made of nickel. This is one of the reasons DOVO’s scissors are made of stainless steel. They may contain a maximum of 0.1%. If you are allergic to nickel, you will not have a problem using the company’s products. They have made their products available from several online suppliers, and they have them available dealers in towns worldwide. Is The Dovo Shavette Worth Buying? The Dovo Shavette has more good reviews than it does negative ones. This is a good razor and much better than an older straight razor for several different reasons. You do not have to sharpen the blade like you would on an older one so you can shave whenever you feel the need. 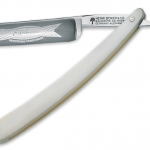 On more aged straight razors, if the blade chips or cracks you have to go out and purchase another straight razor since you cannot replace the blade. If you crack or break a blade in the Dove, you can replace the blade. This will save you money, in the long run. This is a high-quality product, and it is maintenance free. Many people prefer the Dovo over other Shavette’s that are available for the excellent qualities they receive from the product. You can also purchase different blades for the Dovo while other shavette’s only offer one blade so you do not have a choice when it comes to your blade selection. I think the pros of this product outweighs the cons. It has become many men’s favorite and has earned four out of five stars. 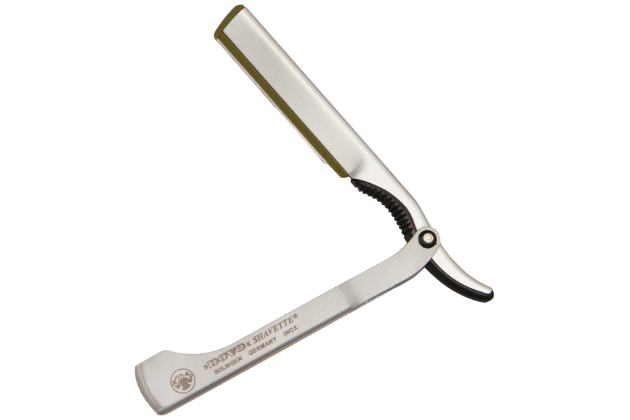 I recommend trying this shavette if you are looking to throw out the older straight razor or the regular razor. 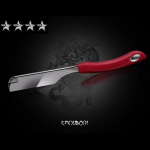 Most of the negative reviews come from the weight of the DOVO Shavette since it is extremely lightweight. The positive aspect of the DOVO Shavette people have mentioned is that they never have to buy another razor. 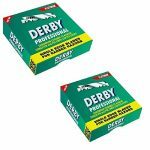 You will save money buying replacement blades for this straight razor rather than buying a new razor every time the blade gets a chip or crack. If you buy this razor and a one hundred pack of blades, you are set to shave for a couple years.